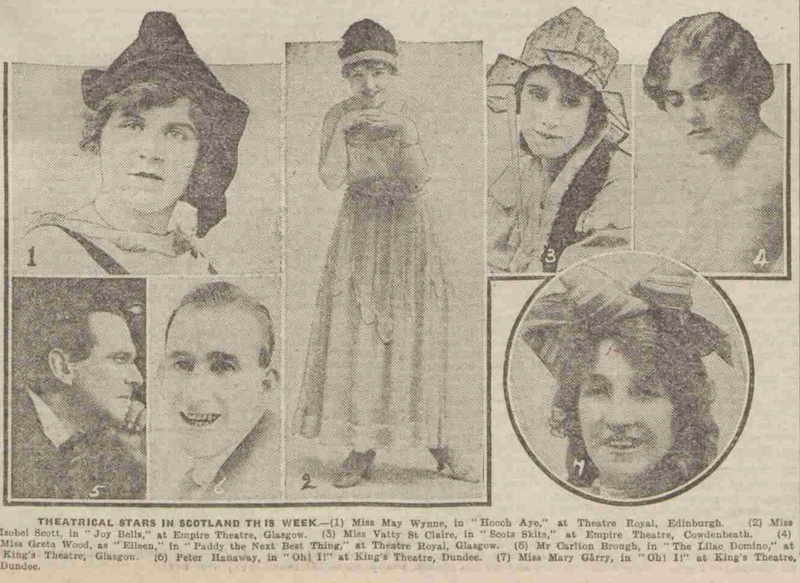 The Stage - 30 September 1920 - Theatre Royal, Glasgow. "Greta Wood is excellent as the elder sister." The Western Daily Press 7 September, 1920. 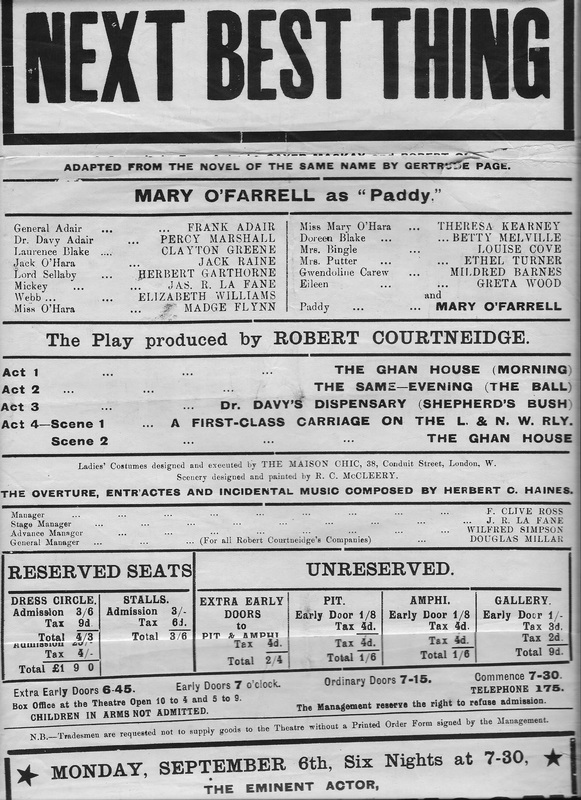 "Paddy, the Next Best Thing," is the title of an extremely captivating novel of Irish life byGertrude Page, and when Gayer Mackay and Robert Ord essayed to dramatise the story they found material which they deftly adapted to a four-act play, and by concentrating upon main features and superimposing several additional ideas evolved a comedy which had ready acceptance by susceptible London audiences. At the Savoy Theatre the piece, produced by Robert Courtneidge, has proved entirely successful. There is little in the plot of the play; simple set of circumstances concerning the life and romance of a Irish maid, one Paddy Adair, whose main characteristic is pride of self and family. It is not a brilliant but a lovable part, and one which that clever Irish artist, Miss Mary O'Farrell, made a great success of at the Prince's Theatre last evening. The piece is paying its first visit to Bristol this week, and it affords a welcome change from anything we have witnessed at Park Row of late. There is a mixture of comedy, and tragedy in the play, and all these varying moods are personified the central figure the one wayward, irresponsible tut deliciously conscientious little person, Paddy. 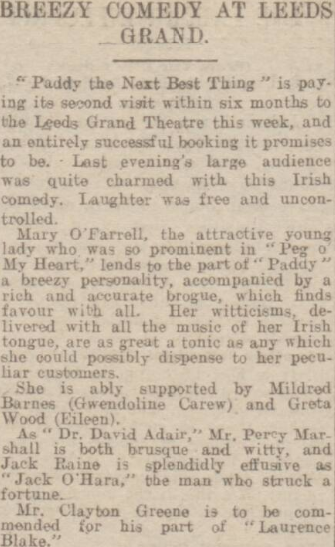 Miss O'Farrell won the unrestrained appreciation of her audience from the moment of her first appearance, and it would be difficult to judge which she was more realistic in, smiles or tears. The company supporting her is quite a good one. True, Mr Blayton Greene is not at times the blase, foppish being such as Gertrude Tree pictured in her novel, but there are other moments during his acting when this fact nay be lost sight of by reason of his sincerity. He is never better than the closing scene with Paddy when he latter finally succumbs to the love of Lawrence Blake. Jack O'Hara is breezingly played by Mr Jack Raine; and Mr Frank Adair is a commanding personage as General Adair. The doctor (Davy Adair) of Percy Marshall produces some quaint but natural, acting: and the Micky of Mr Jas R. La Fane was characteristically real. Miss Greta Wood as Eileen Adair; Miss Mildred Barnes, as Gwendoline Carew; and the other parts were all in the scheme of things. "Paddy" had as a play generous reception, and there should be no doubt of the success of the week's sojourn at the Prince's. There is a matinee on Thursday. 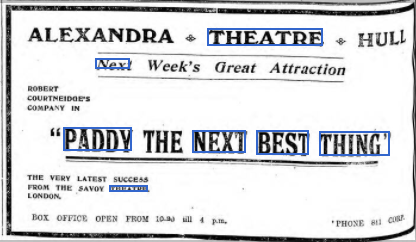 From The Hull Daily Mail - Wednesday 20 October 1920. From The Era - Wednesday 01 September 1920. 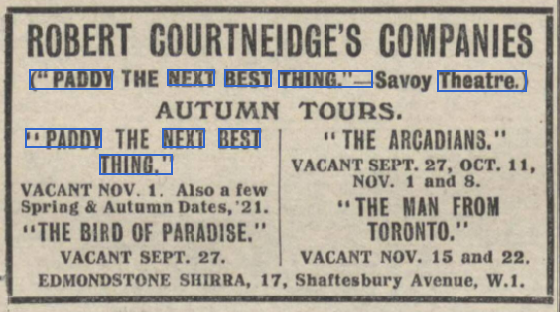 From The Stage - Thursday 02 September 1920. 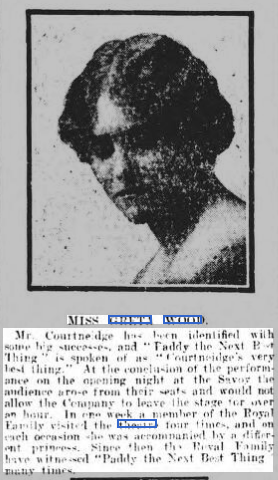 The Stage - 9 December 1920 - Theatre Royal, Birmingham. "Clayton Greene is a capital Lawrence Blake, and others giving good support are Frank Adair, Clive Currie, Greta Wood, Jack Raine, Madge Flynn, Theresa Kearney and Mildred Barnes." From the Scotsman, of 28 September, 1920. From the Leeds Mercury of 24 August, 1920. .... and the Theatre Royal, Birmingham. 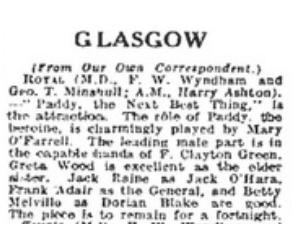 Taken from the Sunday Post of 3 October, 1920. 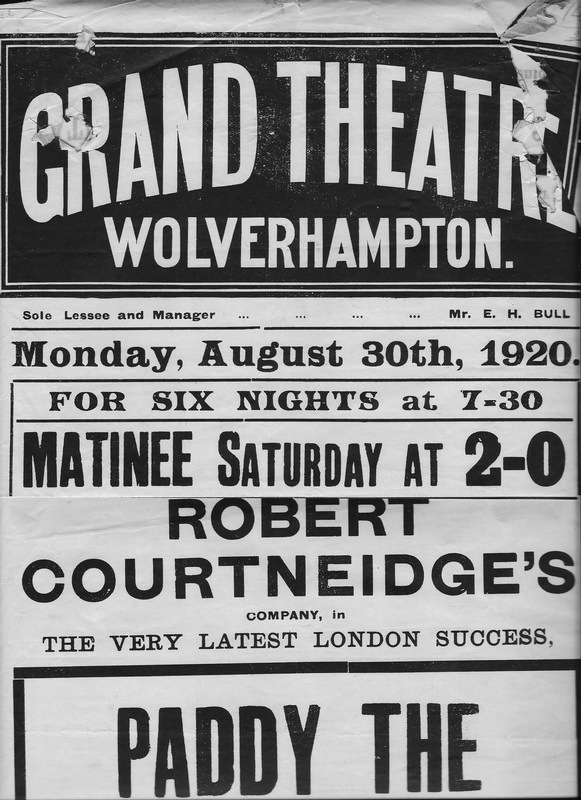 A theatre poster for "Paddy, the Next Best Thing", at the Grand, Wolverhampton, in 1920, the cast of which included Greta Wood.